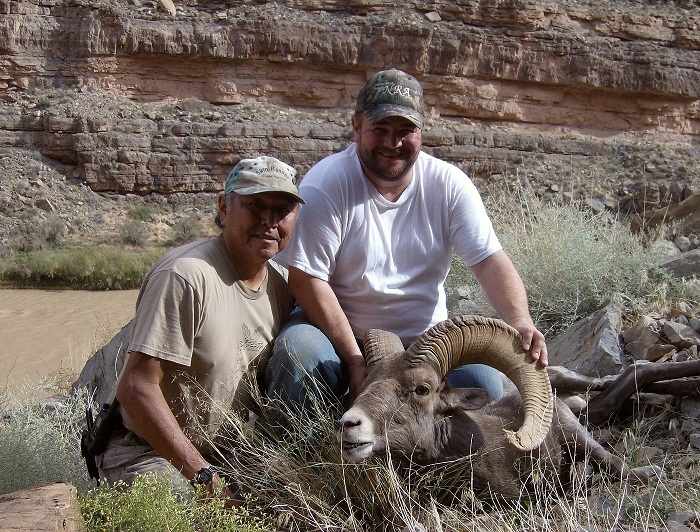 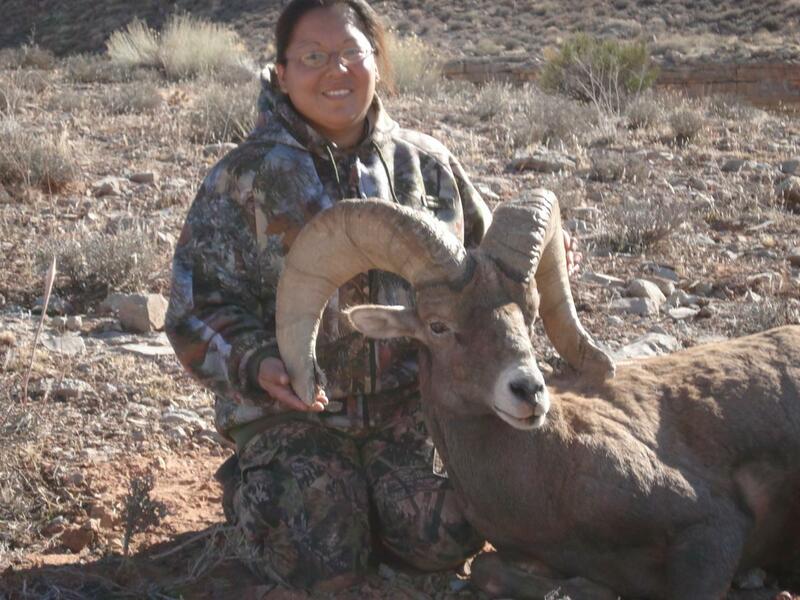 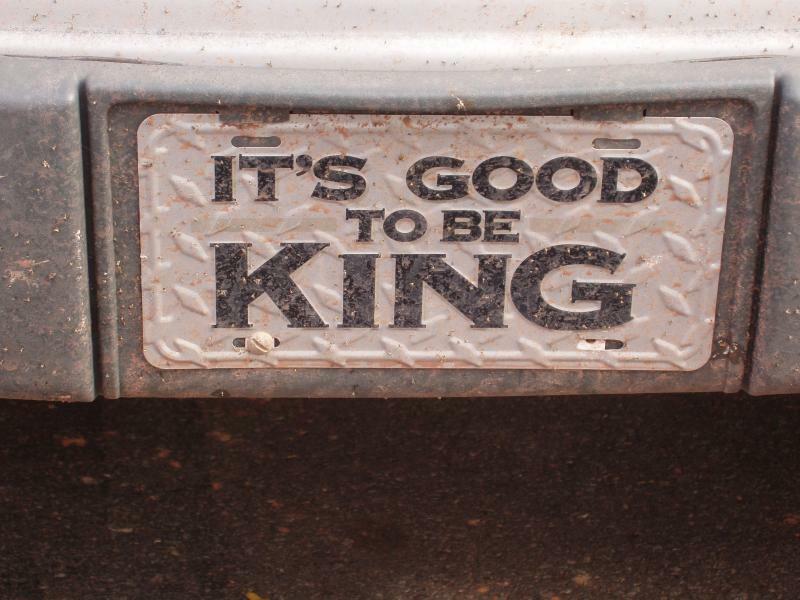 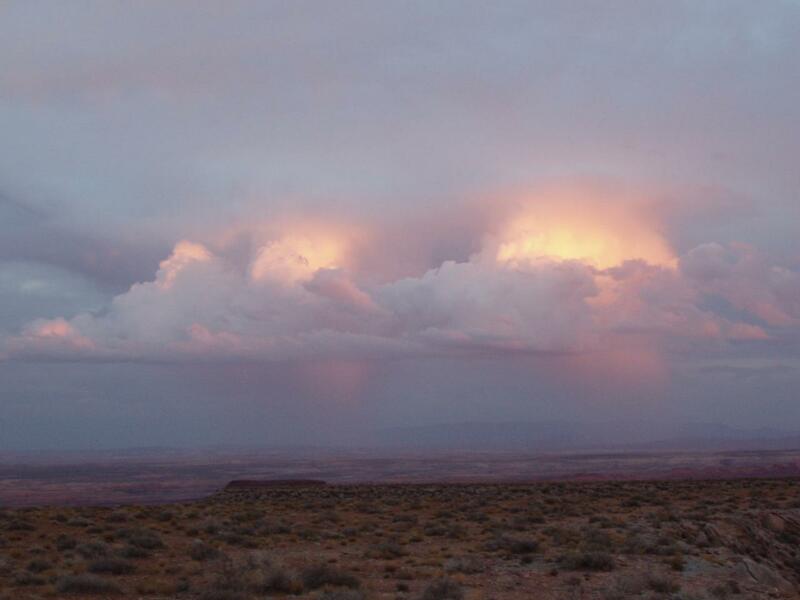 Navajo Big Game Adventures - With Every Sheep Hunt we provide 110% of service to our Clients! 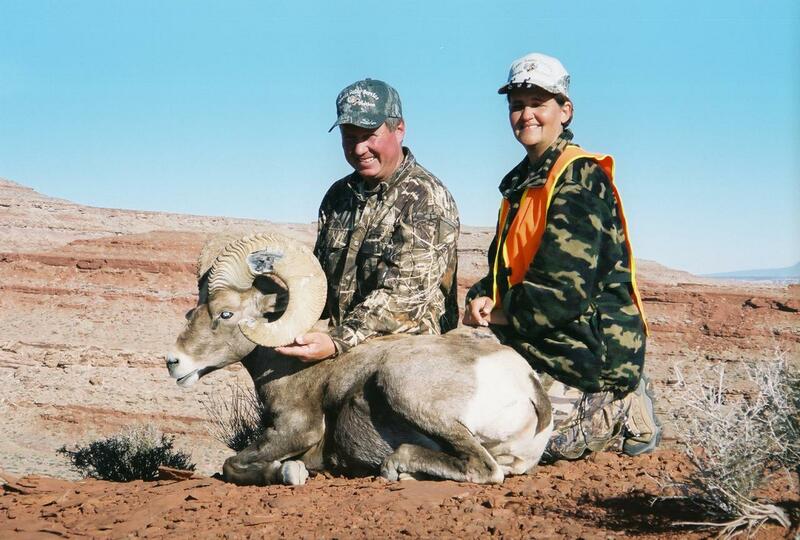 We are the "Best of the Best" for Desert Bighorn Sheep Guides on the Navajo! 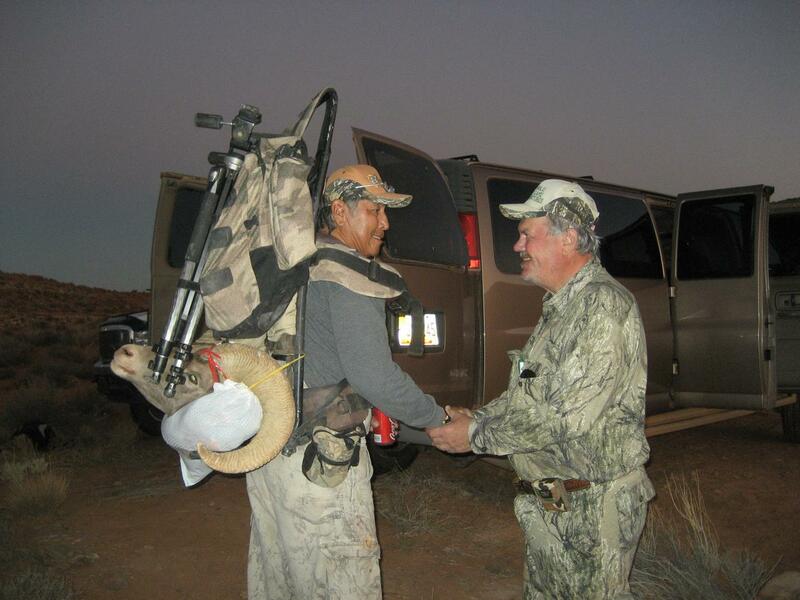 With Every Sheep Hunt we provide 110% of service to our Clients! 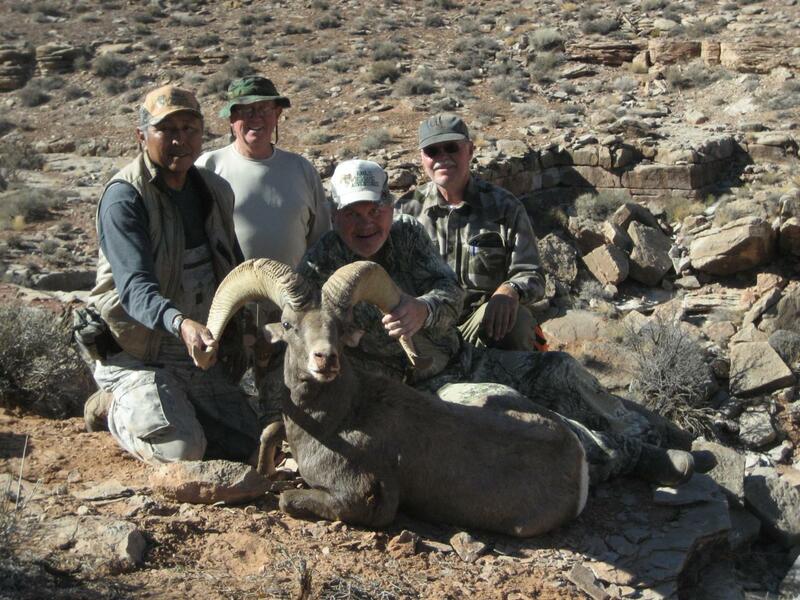 We are the "Best of the Best" for Desert Bighorn Sheep Guides on the Navajo! 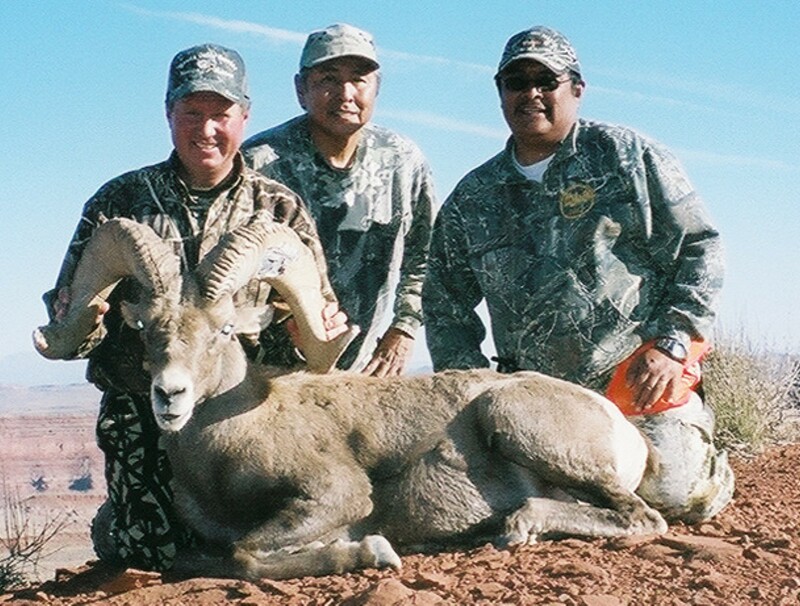 We at NAVAJO BIG GAME ADVENTURES were the very first to provide guide service for Desert Bighorn Sheep on the Navajo Indian Reservation. 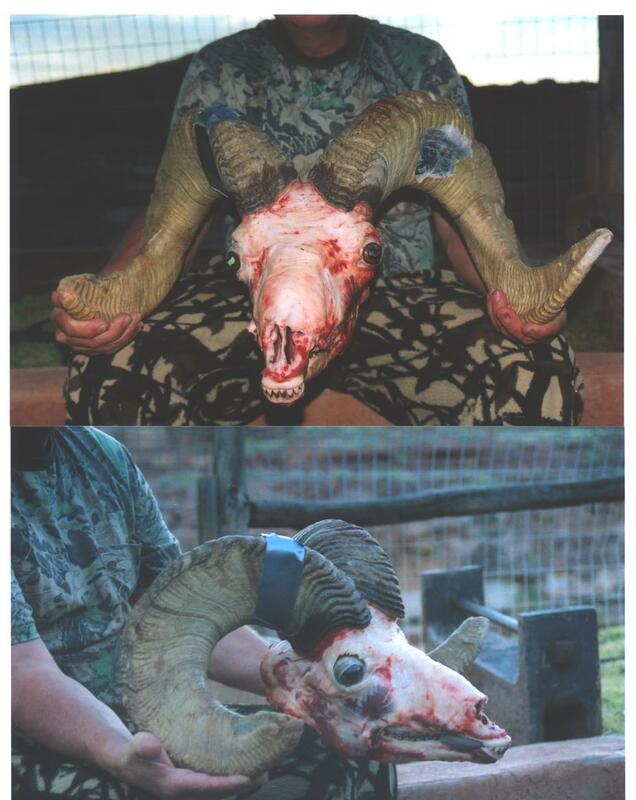 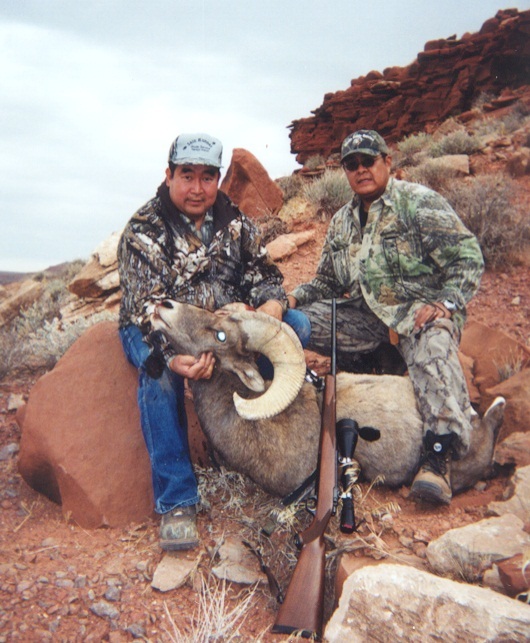 We have over tweleve years of sheep hunting on the Navajo Nation. 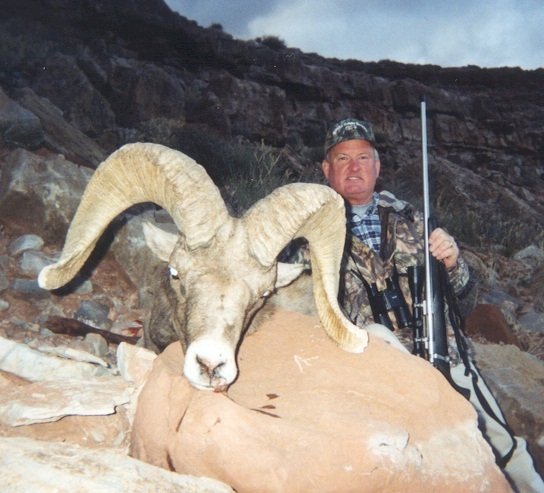 We live and sleep sheep hunting. 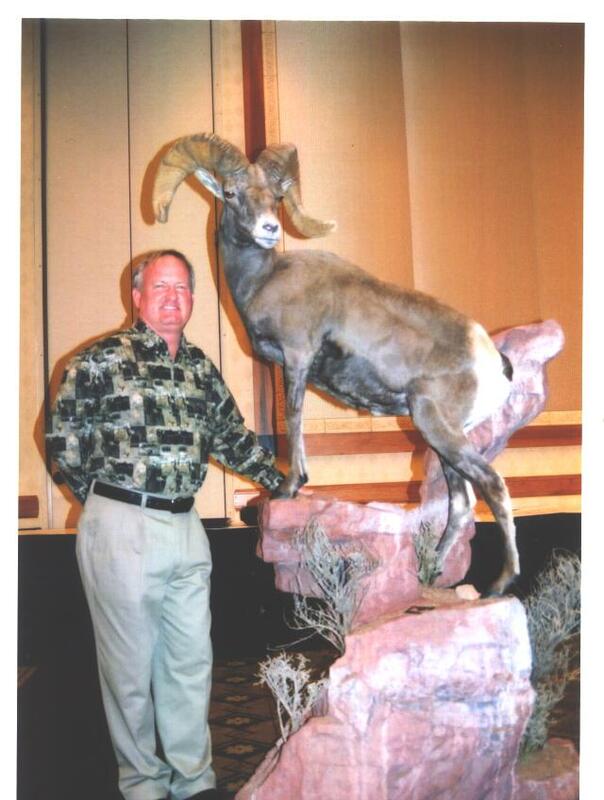 In 2000 Francis Bouchard at a tender age of 84 purchased the very first Navajo Desert Bighorn Sheep at the annual FNAWS convention. 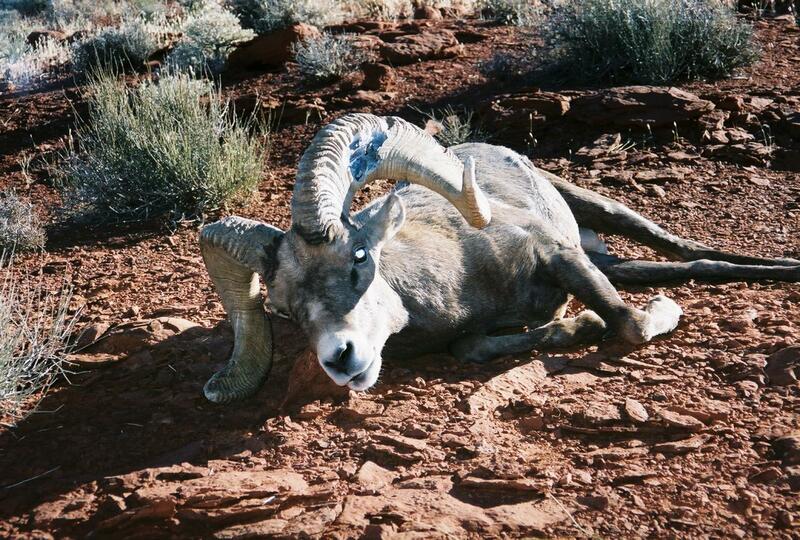 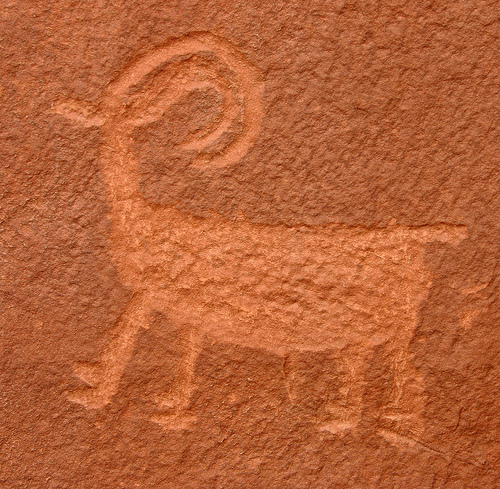 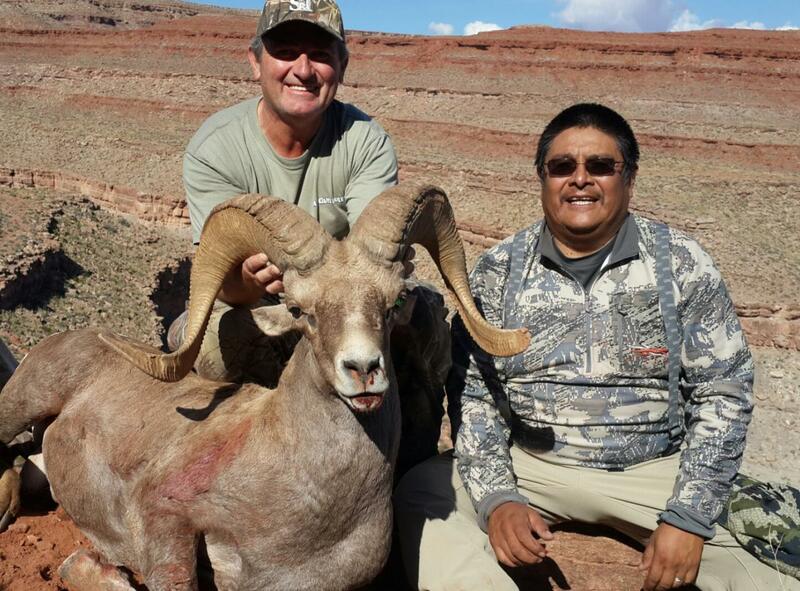 Mr. Bouchard was working on completing his sixth Grand Slam with the Navajo Desert Bighorn ram. 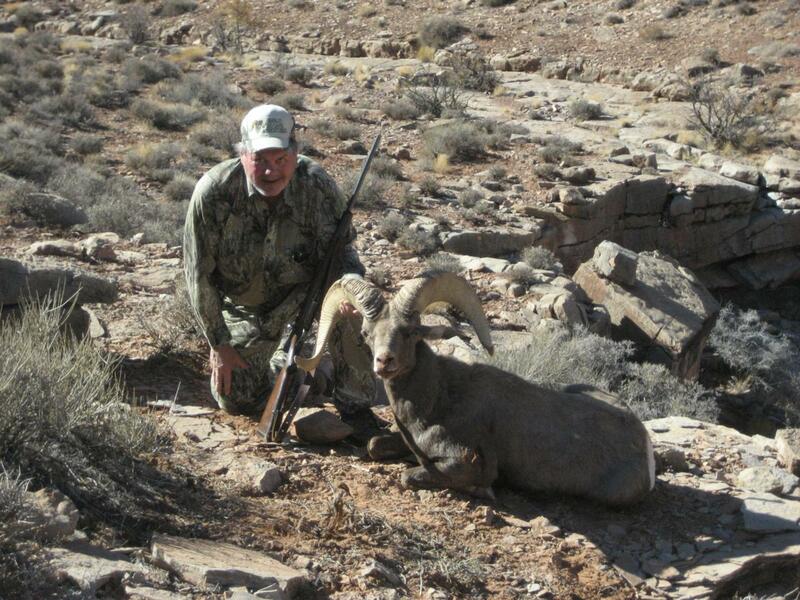 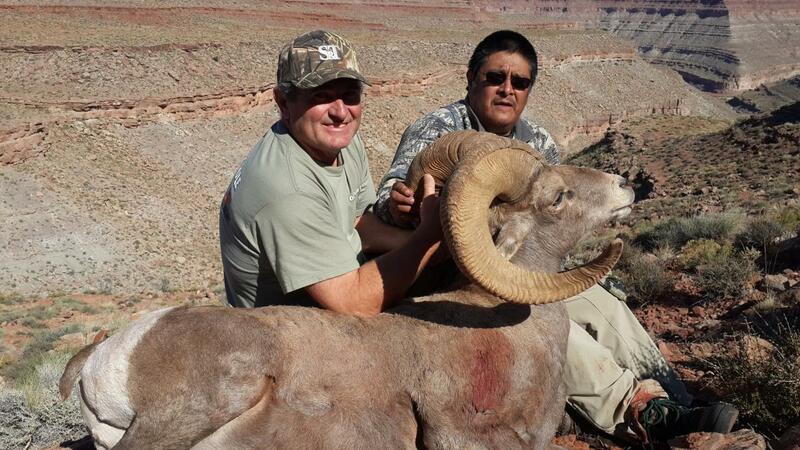 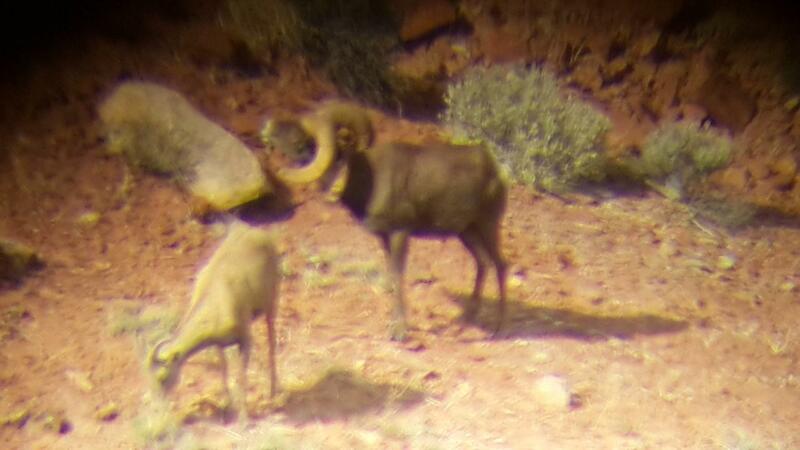 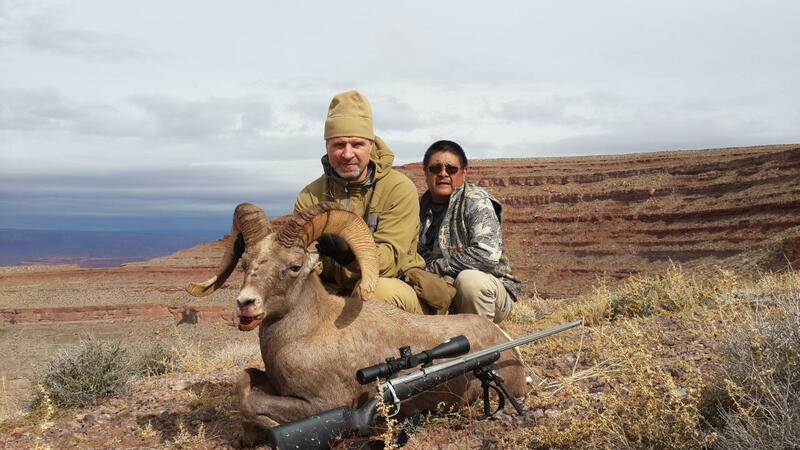 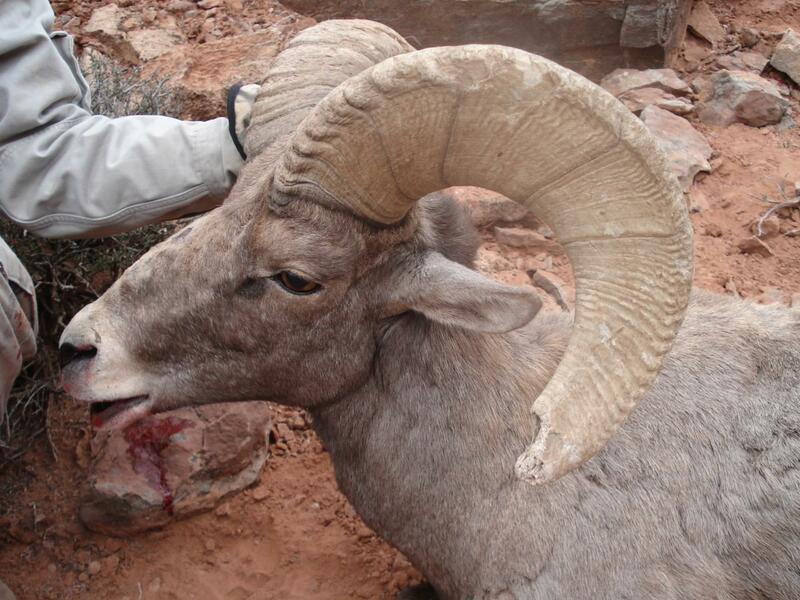 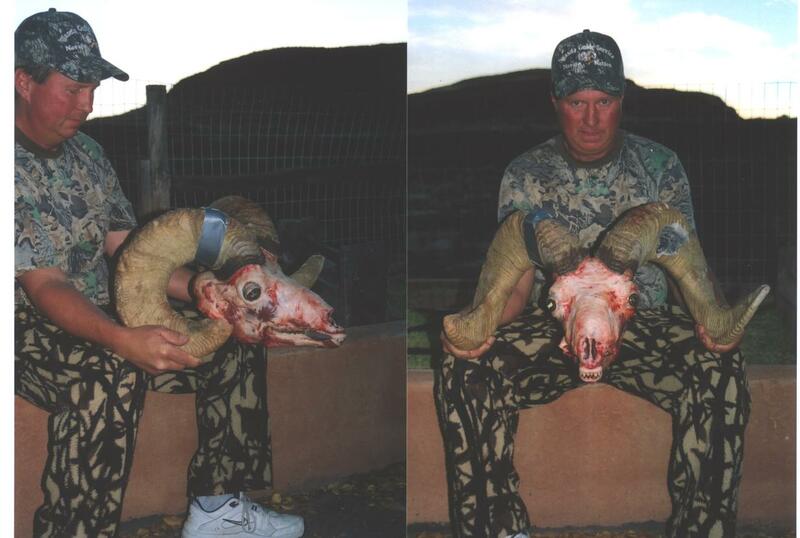 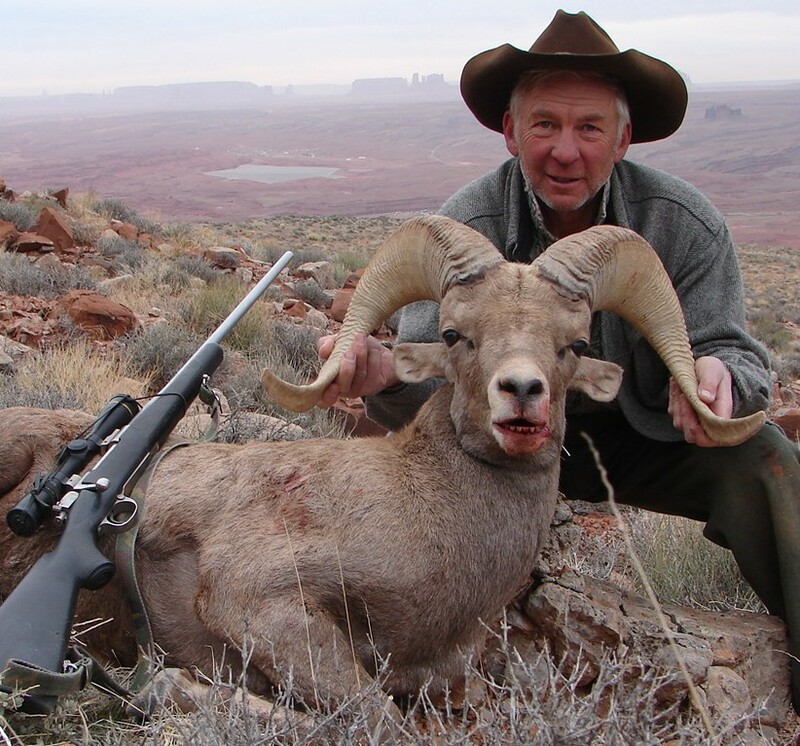 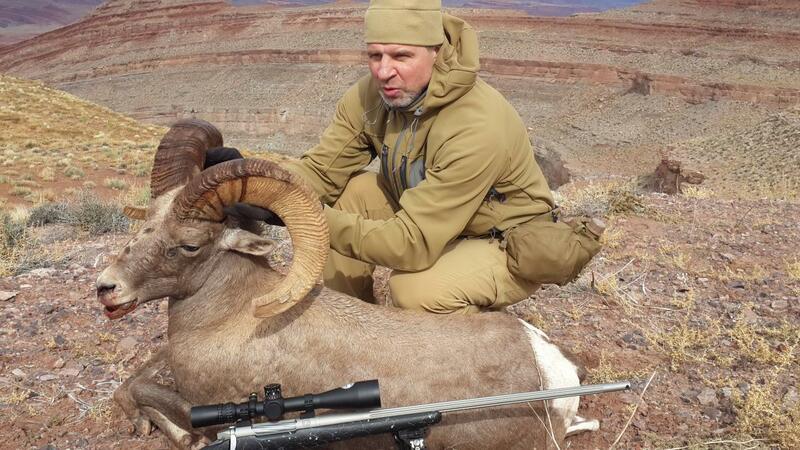 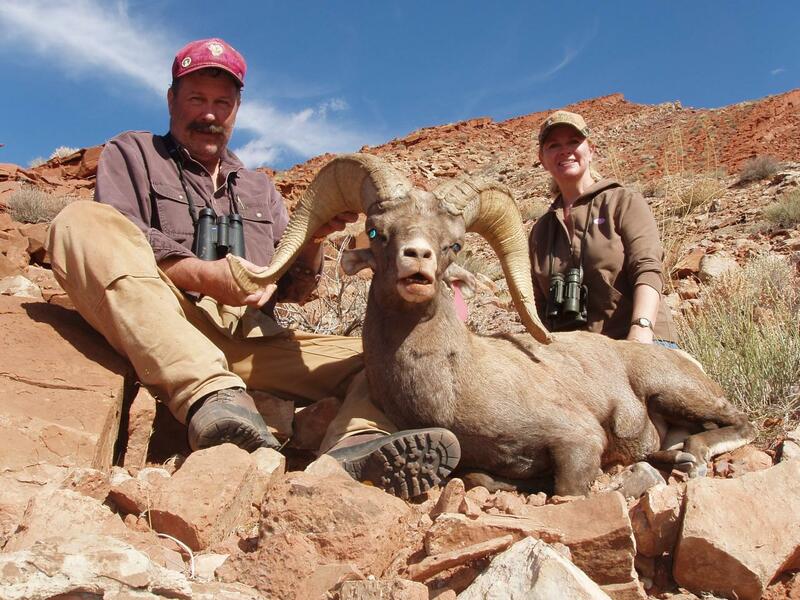 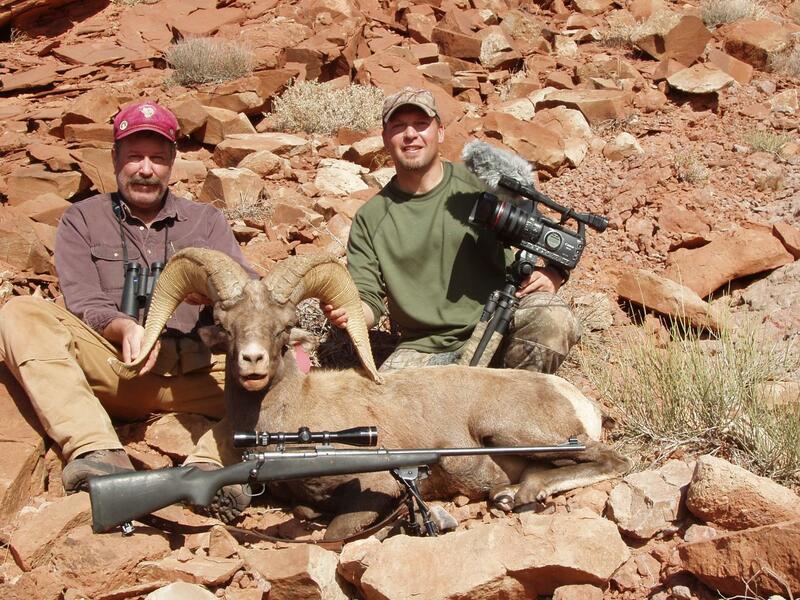 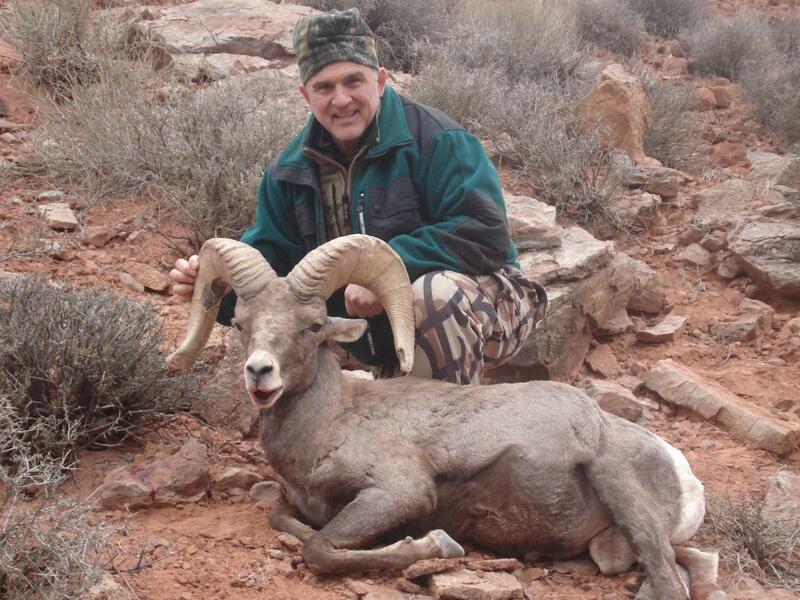 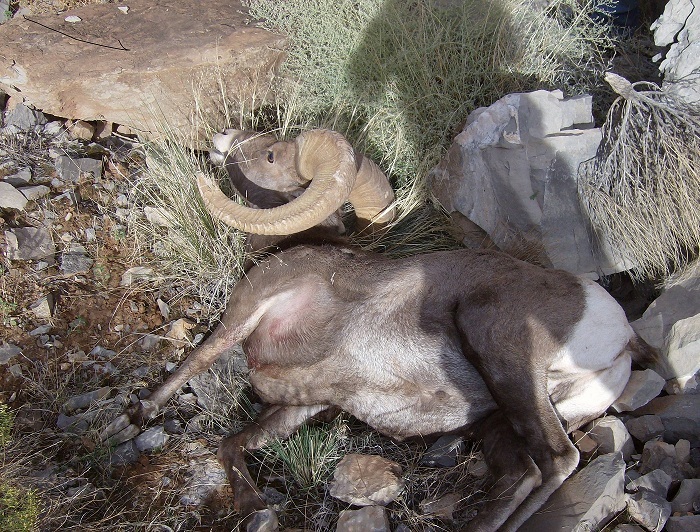 At the end of the hunt Mr. Bouchard complete his slam with the fine Navajo Bighorn Sheep. 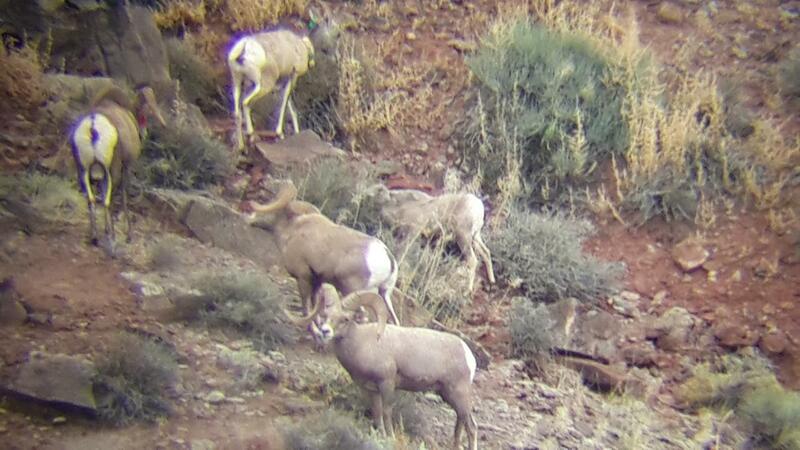 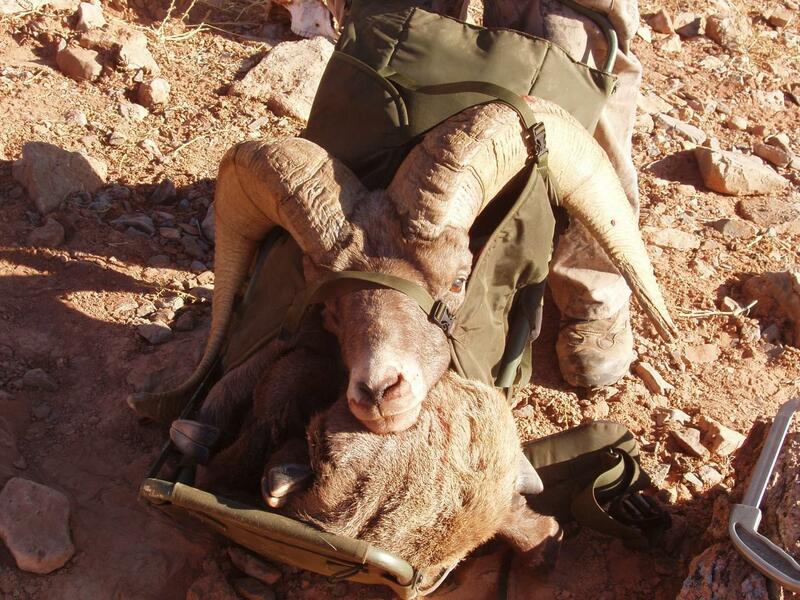 With passion of sheep hunting in our blood and more than ten years of sheep hunting we have been exclusive FNAWS Auction sheep tag guides for Desert sheep on the Navajo Nation. 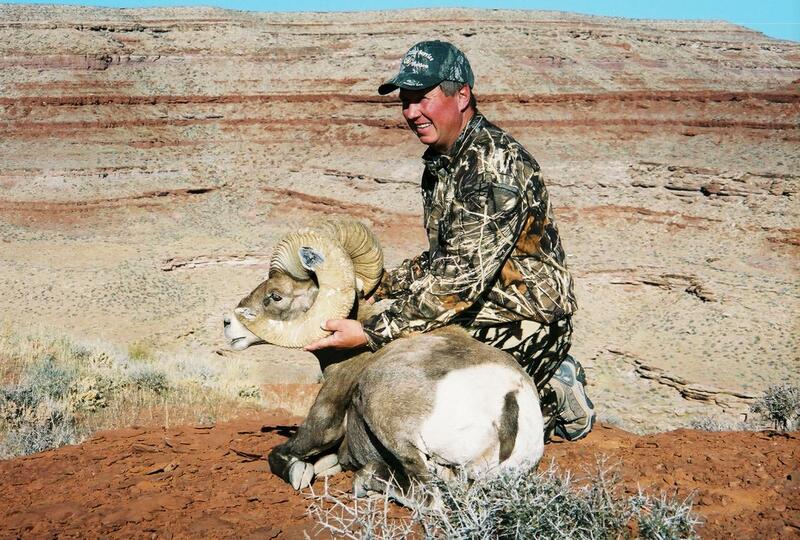 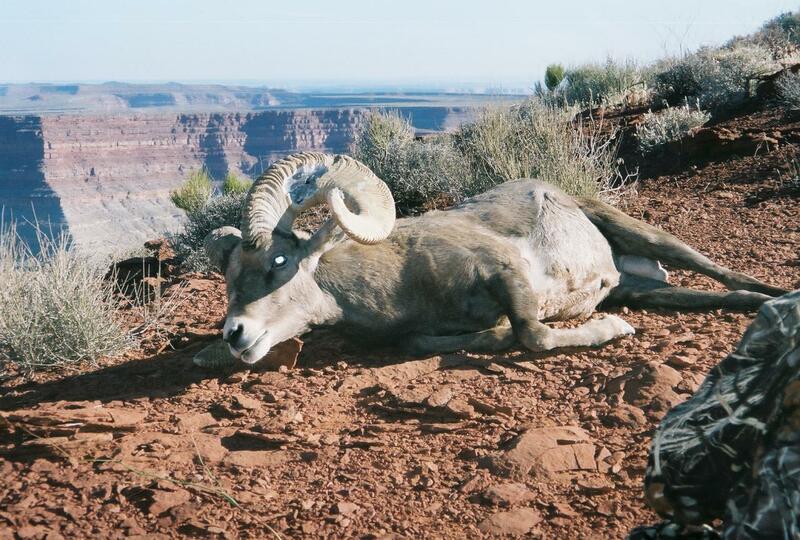 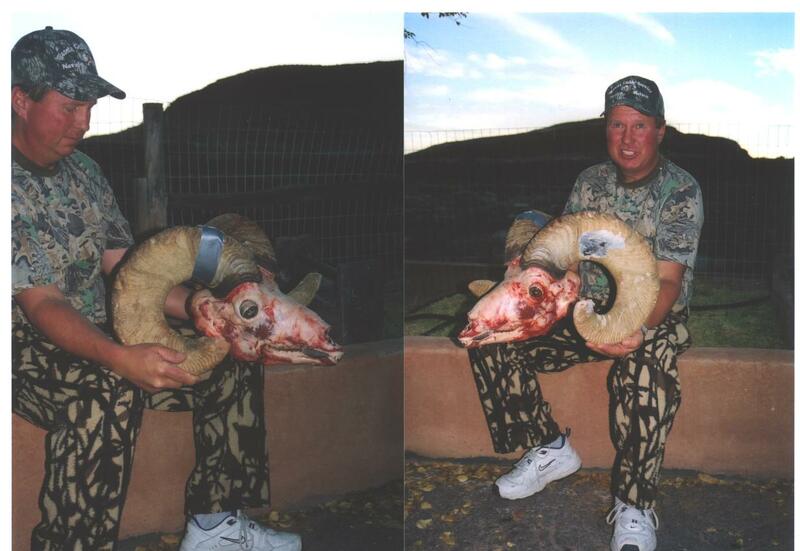 If you truly want the best sheep hunt experience, come hunt the Navajo! 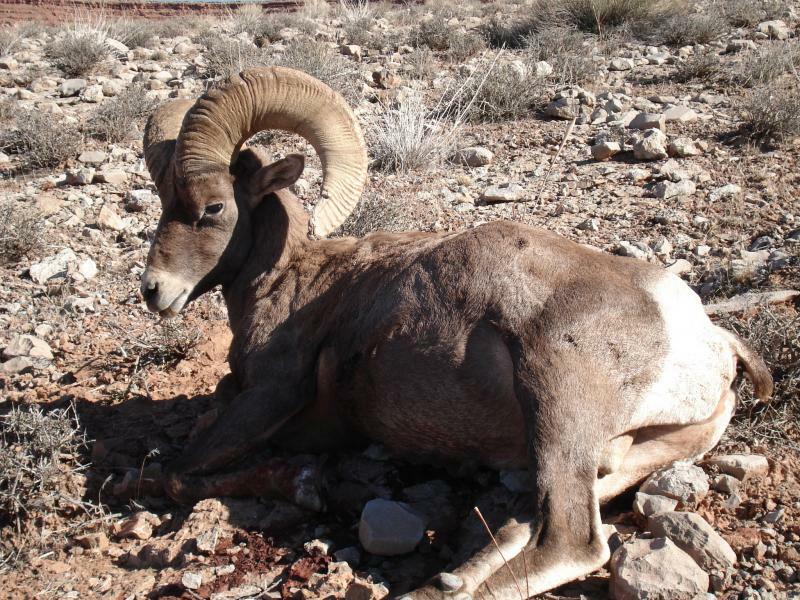 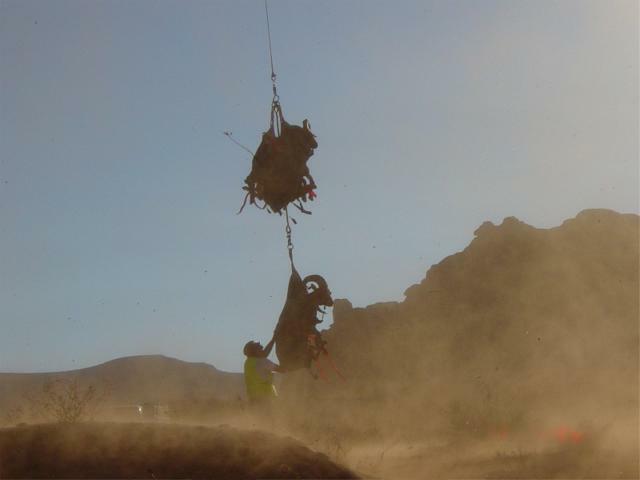 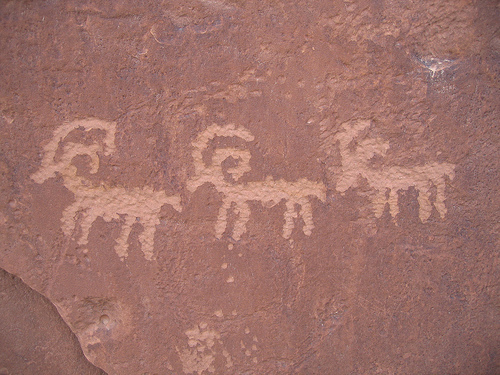 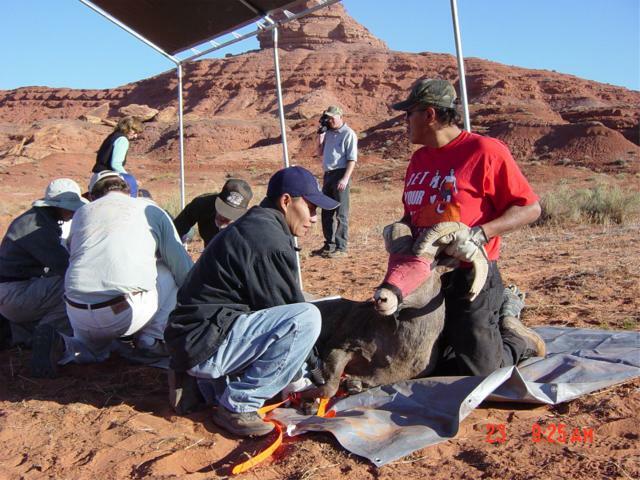 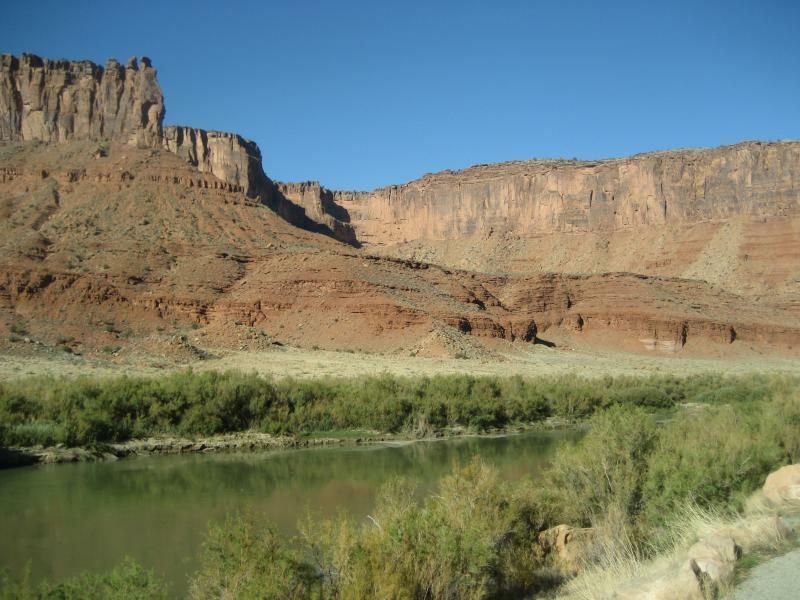 The Navajo Desert Bighorn Sheep Management Program was started in 1997 when the Navajo Nation had about thirty head of sheep from the native San Juan River herd. 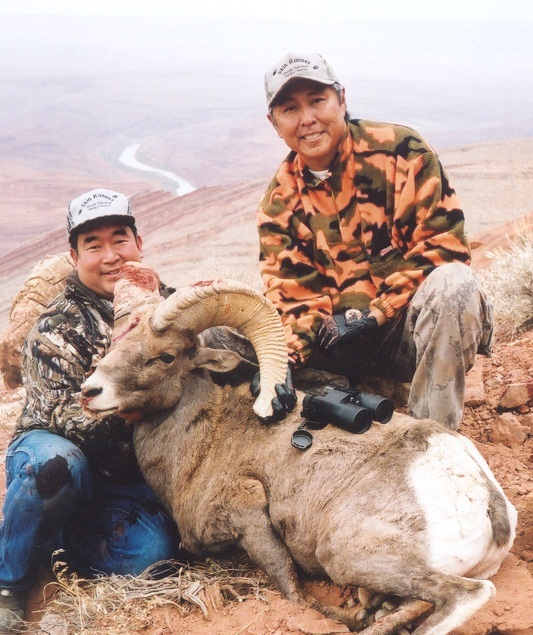 Currently, Navajo Bighorn sheep population has increase to over four hundred head of sheep in the last ten years and it's because of the mult-transplant and major support by the WILD SHEEP FOUNDATION and SHEEP HUNTERS! 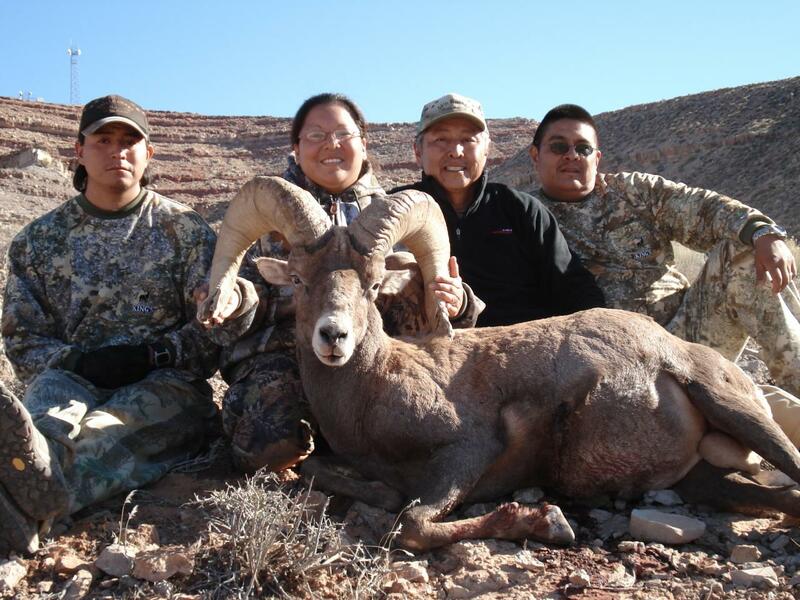 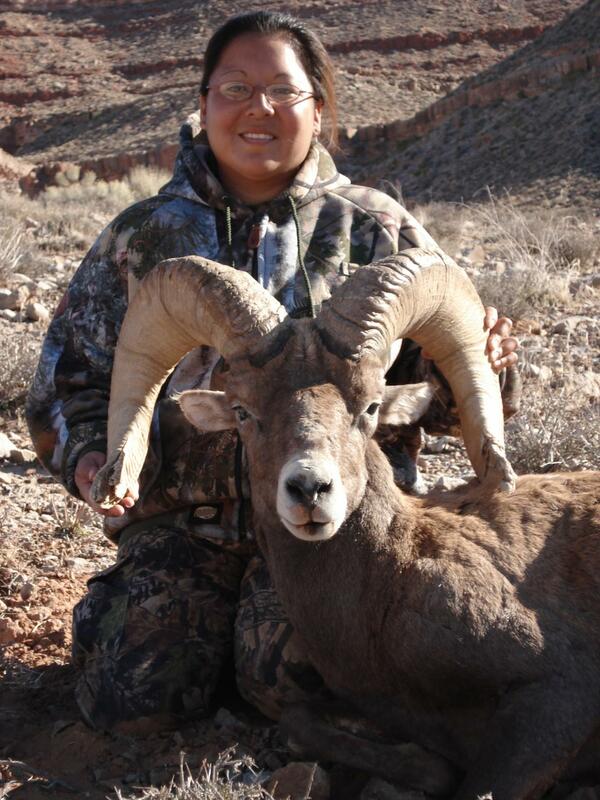 Navajo Big Game Adventures have been very active with the tribal sheep program and passion of sheep runs thru our veins! 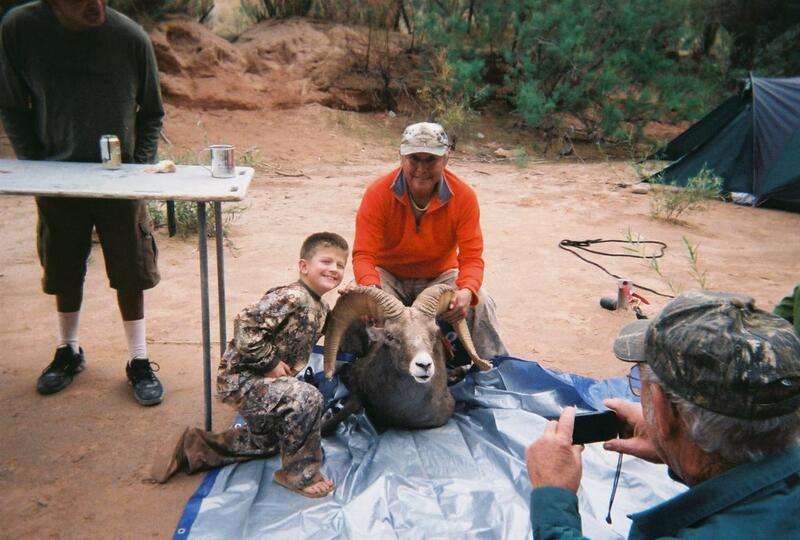 Only sheep hunters truly understand that passion for sheep. 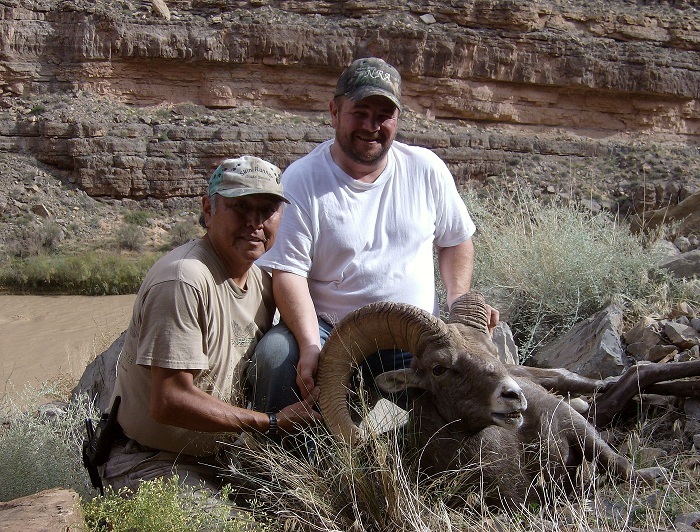 on the type sheep hunts we provide on Navajo Indian Reservation and location or just want to talk sheep Contact us today! 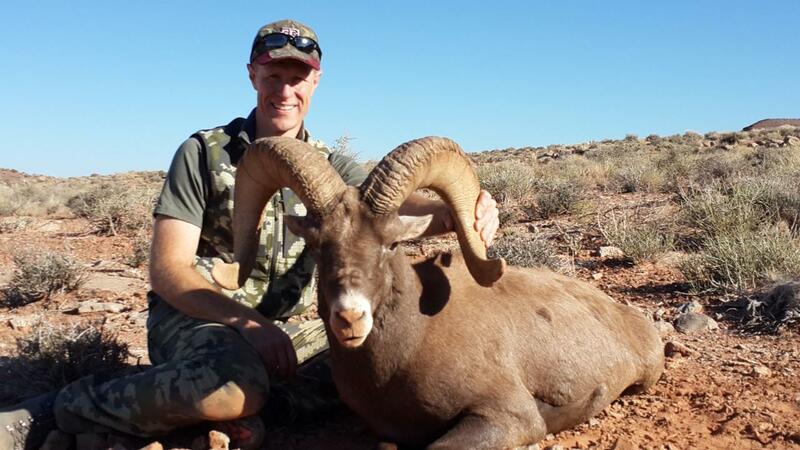 Lastly, if you ever wanted your wife or family member along on the sheep hunt we are more than welcome for them to come along.